Here is my latest for the online Catholic article publisher Catholic365.com. I hope you can join me in meditating on the person of Jesus Christ with St. Josemaría Escrivá (who's writings I've greatly depended upon in my spiritual growth) to prepare for a most Holy and Fruitful Lent. May God bless you all. 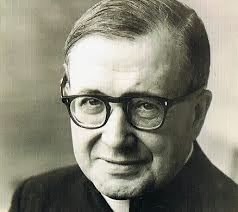 St Josemaría, pray for us.